Consider 14 hole or 12 hole chromatic only if you know what you’re doing, and have experience/ the Suzuki SCX 56, Suzuki Sirius 56, or Seydel Saxony are leading contenders. That is a very big statement…but I’ll back it up for you…first let’s cover the pluses of the 16 hole chromatic harmonicas from Suzuki, then cover the “LITTLE GEM,” which is my nickname for the Seydel Saxony 12 holer out of Germany. For many players, the 16 hole configuration gives you the full package…4 complete octaves from C3 up to C7, plus a C# and D thrown in on top for good measure! If you decide you want to play classical music, or popular music, or Jazz, you may want that range. There is also this thing called “octaves” where you play two notes of the same pitch, but an octave apart, and that’s where you’ll use those low notes in the 1st to 4th hole on the harmonica. You always have the option to play fewer than the full range, but if you need or want those extra notes and don’t have those holes…you are out of luck. You’ll see I suggested that you get a NEW harmonica. How did I learn that? Because I bought many many used chromatics…most of them Hohner 280Cs online on EBAY. I paid about $80 each for these 280C’s. And I enjoyed them very much at the time…BUT SOONER OR LATER those Hohners with their brass reeds needed repairs (the reeds fatigue with age and use, then they crack or go bad in other ways) and it costs about $80 a pop for each repair. Do the math. You buy a used Hohner 280C for $80, then you have $80 more in the repair, now you are at $160, and you still have an aged instrument. You’d be FAR FAR better off buying a new Suzuki SCX 64, because you’ll be playing your instrument more, not worrying about repairs. The Suzuki’s are better designed instruments, with a great sound with reliable phosphor bronze reeds, a better mouthpiece design, and you have full warranty protection with a real human being to talk with at Suzuki USA to get your repairs done, if you happen to need them, which you likely won’t with a Suzuki. I buy a lot of instruments on Ebay, so I like Ebay, and I like Hohners but they require a lot of service. If you do decide to buy a used harmonica on Ebay, be sure you buy from a buyer who allows you to return it in 12 days or so, if you’re not happy. That will give you time to test it and show it to an experienced player. Unfortunately, there are VERY VERY FEW Suzuki or Seydel chromatics available USED on Ebay for sale. I’ve only seen one or two in the last year, most are going to be used Hohner 280C models. The Hohner 280C is a good harmonica, and many years ago it was the best. But they have a dated mouthpiece which is angular, and being a 3 piece design it’s leaky…as in air leaks out when you play the high notes, and on the other notes too. The brass reeds have a nice sound, but they are prone to problems. I have them and play them, but you’ll find the Suzukis more reliable. If you go to YOUTUBE.COM you can find videos posted of just about every harmonica made. Just type in the model and many videos will pop up. Many are recorded on professional studio equipment, so you’ll get a good feel for their sound. Brendan Powers has a marvelous series of videos on Suzuki chromatics, and you’ll likely enjoy those. Don’t forget, you’re trying to identify the right STARTING PLACE for your work with chromatic harmonica. This is likely not the last chromatic harmonica you’ll buy. The price online from ROCKIN’ RONS cannot be beat in my experience. We do not get a percentage of revenue or any other benefit from sending referrals. It’s my view that a good vendor is music to my ears! Tell him you heard about him from David Kettlewell of MASTERSOFHARMONICA.COM and he will take care of you price-wise, and give you our website’s special treatment. He sells all the various makes, including Hohners, and Seydels, and Suzukis and others, so he can give you his views. Below you will find reviews of the HARMONICAS I’m guessing you will consider. You may already know that some of the priciest instruments in the world have metal combs, some brass, some silver, some silver plated brass, some aluminum. Metal combs create a bit different sound, a sound with phenomenal focus and projection, a sound with punch and wonderful saturation of tones, and a sound which is very malleable to a trained musician. You can make it sing like a silver flute…and bark like a bassoon on steroids. Each harmonica reed has more or less tendency to go out of tune a bit, unless your technique is flawless, especially on a draw, which you can see on a sensitive tuning apparatus. The Seydel Saxony has very stable intonation, as do the Suzuki Sirius models. It fits in the hand regardless of hand size very nicely, having only 12 holes, and the covers do not extend to the edges, so those with medium size hands or small hands can easily cup the harmonica with their hands and shape tone. The mouthpiece is an updated 3-sided angular version, and does NOT compare to the comfort when playing for hours of the Suzuki two piece rounded mouthpiece, but… it’s air tight and well machined, comfortable in the mouth, and very playable due to the lower profile of the mouthpiece itself. The Saxony is straight-tuned with a short throw slide, so accidentals are picked up quickly, you don’t have to push the slide far….now I now see why Brendan Power is a proponent of short slide harmonicas like the Suzuki Sirius 56-14 holer. I think the best model of Saxony is the one having a chrome cover with ORCHESTRAL TUNING, now what they did was to take a 16-holer and eliminate the bottom two and top two holes, which leaves that nice sweet spot… right for just about everything. The Seydel Saxony’s artistic malleability is well beyond the norm, and may I say “better,” with a clarity I find compelling, and unusual sensitivity. It’s half the price of the Suzuki Sirius, and you’ll have a little less sophisticated mouthpiece, but the reliability and tonal flexibility will make up for that. For many players it is a serious contender indeed. Don’t be put off by the 12 holes, I highly recommend the Seydel Saxony, as I do the Suzuki SCX and especially Sirius models. All 3 belong in your toolbox. 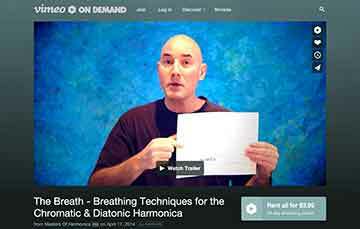 I play 2 hours a day, and have extensive classical training, and review harmonicas. I am pleased to say that to my mind…the SCX is the best value on the market today….I’ve paid lots more for other models, and I’ve played most everything out there today. First, the basics. It’s a 4-octave chromatic harmonica (chromatic signifying it has all sharps and flats) taking you from C3 (one octave below middle C) to C7 (three octaves over middle C), and two notes more: C# and D.
The phosphor-bronze reeds are essentially problem-free and the instrument has fewer breath saver problems too, especially if you get a heating pad and warm your instruments on low for 15 minutes prior to playing. Put a towel over the heating pad, then put down the harmonica, then another towel on top. The heat reduces condensation on the reeds and reed plates, and thus keeps the breath savers dry. The SCX is a very expressive instrument, with tremendous resonance, easy-to-color tone with and to bend notes on, and the mouthpiece is state of the art…a two-piece wonder, with a round shaping easy on the mouth which will spoil you rotten…and a slide like butter. I love the tone when played acoustically. Suzuki is clearly on top right now. If you are recording professionally you’ll want the Suzuki Sirius at its higher price, it really is worth the extra $ when recording. I was concerned the SCX would be too dark in tone, and was a bit concerned with videos I watched online of various players on the SCX, I held off getting one for that reason. It’s not too dark, it’s exquisite, and you’ll find it’s played by many pros. From what I know, the SCX is based on what was learned from the older SC from Suzuki, (it’s still a pricey item, that SC…when you can find one). Good pedigree. The SCX is what I call a “market buster”…that’s an instrument priced lower than it should be priced to take market from other manufacturers. Any rare grumps you may hear about the SCX- I heard one- relate to the earlier version from years ago, prior to the new mouthpiece design, the new slide design model being signified by the gold V2 on the back of the comb…it’s also indicated on the white cardboad box which goes over the plastic case upon delivery. From what I can tell, there aren’t any old 3 piece slide models left out there for sale new. Now while I love the SCX, and I own the Sirius, I kind of feel that I like all the major harmonicas, and that includes Seydel. Right around the time I feel that Hohner’s 280C is dated with it’s angled mouthpiece and less air tight mouthpiece configuration…I’m picking it back up and enjoying it…Hugo Diaz, here I come. The longer you play, the more you can easily compensate to get what you want from the instrument in hand. Again, of all harmonicas I’ve played, the SCX is my hands down overall favorite, ESPECIALLY when one looks at value for the dollar. I truly feel it competes with $500 + instruments. Rock solid purchase I feel you will never regret, it will likely make a Suzuki fan of you. How can one justify this price? Well I couldn’t…for a long time, and even after buying it I really did not understand what it brings to the table for some time…till I played it into pro recording equipment. First, i’m a classically trained musician and classical singer (think opera) whose primary instrument is the Chromatic harmonica. I also review harmonicas. I started on a Hohner 280C out of Africa…and so I compare from that perspective. By the way, i still enjoy the 280C, it’s a bit bitier and brassy…notwithstanding its faults. It’s tone on professional recording equipment in or outside a studio is PHENOMENAL-UNPRECEDENTED-SUPERB, full rich tonal saturation, and a resistance to going off pitch which is always a consideration with draw notes on the chromatic, if you want to apply a symphonic musician’s ear. I mean there is no comparison with what the Sirius will do on a condenser or other mike with pro recording equipment, to my ear. I mean no comparison. Velvety smooth, lovely, rich are words people say when they hear it on a recording. It’s a roundness of tone you won’t find elsewhere. The Sirius build quality is simply at another level,the mouthpiece is solid brass with silver, the covers are brass with black non shiny chrome, totally unique mouthpiece/ comb designed to create fully saturated sound. The Sirius had its beginnings with a famous harmonica, THE SUZUKI MAGIC GARDEN designed with help of the International Conservatory of Music in Paris harmonica wonderkind Claude Garden-Jardin, who died soon after the instrument’s debut…he was a master of phrasing and technique, although not equal to Tommy Reilly…who played on a solid silver Hohner. The next step on the road to Siriusville was Suzuki’s work with Gregoire Maret, who plays a dark form of minimalist jazz, and hops up and down on stage, boing, boing, boing, mostly in Europe. The Sirius is essentially a larger Maret, and it’s a professional instrument in every sense of the word. Acoustically, without amplification,the SCX gives you more to the ear, and is better for Jazz too in my book, but the Sirius is simply the last word in the studio…unless you want to be Hugo Diaz and eat Argentinian food. It is my impression that it takes a bit more air to play a Sirius, but I have the theory that this may be an illusion as we hear high overtones best on any given note/ a la trumpet and flute/ and the Sirius presents a more centered and rounded harmonic mix of overtones per note than most harmonicas…so maybe I push it to find the high overtones, which are not there. For hot jazz, I’m on the SCX, and for Hugh Diaz frolic, I’m on the Hohner 280C for the jumpiness and hotness. But for dark jazz, classical and popular, it’s the Sirius on any recording system…at least to my ear. It’s all about sound really, isn’t it? So, the Sirius will provide you a sound on a mic or in studio which just cannot be duplicated. Now I have not played a solid brass Fabulous, and if Suzuki will send me one which i am allowed to keep, i am willing to amend this review. It’s wonderful in the hand. Someday you may find a better instrument near this price range, but not today. How can one justify this price? Well I couldn’t…for a long time, and even after buying it I really did not understand what it brings to the table for some time…until I played it into pro recording equipment and the difference was as t hey say, as clear as NIGHT and DAY…well worth the price. I started on a Hohner 280C, who didn’t?, and so I compare from that perspective. By the way, I still enjoy the 280C, it’s a bit bitier and brassy…notwithstanding its faults of dated mouthpiece and reed problems. I had several hurdles to overcome, moving into the world of Suzuki. I took the leap and bought both the Suzuki SCX and the Sirius at the same time. Please don’t ask me to explain that move, it was the only way I could be sure of either. Even I admit it was a peculiar choice. But we’re talking Sirius…soooo…. I’ll speak to what counts first then get to the secondary points. “Velvety smooth, lovely, rich,” are words people say when they hear it on a recording. It’s a roundness of tone you won’t find elsewhere/ and by that I mean the actual mix of low, mid and high frequency tones and harmonic overtones which all combine to create the shape and characteristics of a given note on a harmonica. As an example, the Hohner 280 is bright and brassy with the tonal mix above the mids emphasized due to the brass reeds and design, Suzuki is more centered around the mid range section, and I’d say more pleasing overall to many’s ears…but that is a personal preference thing. The Sirius build quality is simply at another and certainly higher level than the competition: the mouthpiece is solid brass with silver plating, the covers are brass with black non shiny chrome, a rounded 2 piece mouthpiece which makes tongue emboucher and octaves and playing in general easy and comfortable, and great machining of all parts. It feels like you have a professional silver flute in your hands! The 14 holer, or 56 (because there are 56 reeds), is a chromatic configuration growing in popularity worldwide and recommended by some harmonica pundits including Brendan Power. (Orchestral musicians typically go with the 64, 16 holer as do those in formal music education programs.) The 14 holes provide 56 reeds, with tuning in “C” which means you have from G3 on a piano up to D7, that’s three complete octaves, plus some. The Suzuki Sirius 56 is a straight-tuned chromatic harmonica, which means all the upper holes are open when the slide button is out…these are notes from the scale of C Major: C,D,E,F,G,A,B,C, when you push the slide in you get the accidentals or notes in the C# Major scale. The straight tuning means the Sirius 56 harmonica has what’s called a “short throw slide,” which means the slide responds very quickly (giving you quick note changes) as the slide actually travels less distance when the button is pushed in. (The Sirius 64 has a “long throw” slide, and bigger holes in the slide for the air to go through. Does it matter?) Some feel short throw slides give the player faster slide activation, but an accomplished player will certainly have no difficulty activating a long throw slide to pick up the accidentals, or sharps and flats. Straight tuning with a short throw slide means the slide’s air holes are a bit smaller, so a bit less air gets to the reeds. The Sirius is essentially a larger Gregoire Maret G-48, and they are both professional instruments in every sense of the word. It is my impression that it takes a bit more air to play a Sirius than an SCX or Hohner 280C, but I have the theory that this may be an illusion as we hear high overtones best on any given note considered/ a la trumpet and flute/ and the Sirius presents a more centered and rounded harmonic mix of overtones per note than most harmonicas…which the ear registers as “less volume.” It’s just a different harmonic overtone mix. There are other design niceties to this instrument…weighted brass inserts which apparently make a noticeable difference in the low notes, and I’ll mention many players enjoy the additional weight the brass inserts provide. Someday you may find a better instrument than the Sirius, but not today. I am a classically trained amateur singer and musician, and bought my “64 Chromonica, 4 chromatic octaves, professional model (280C)”, (indicating it has 4 complete octaves of chromatic scales starting from C one octave below “Middle C” up to so called “High C” which is two octaves above middle C), about 7 years ago. I’m going to talk with you about this particular model, and also the benefits as I see them, and hear them, of the harmonica. SIDENOTE: My favorite instrument by far is not a harmonica, it’s a Bosendorfer Imperial 9 ft. 4 inch concert grand piano, which retails for north of $200,000 and can be bought used for about $125,000, although I did see a well used one from a NY musician-composer for 30 grand. Frankly, I just can’t afford that piano. I can’t afford the piano, nor the house or studio it takes to hold the piano and present its acoustics properly. I might be able to afford the tuning. The problem with piano, so you know, is that it is not reasonable to expect to play the exact same instrument with teachers and in performance all the time, and you are constantly performing on sub standard pianos. Unfortunately, after playing a Bosendorfer Imperial, all pianos are sub standard. So now we’re back to the point…and the point is…here’s where the harmonica really shines…the harmonica is really portable, you can play the exact same instrument in each performance, and you can really get connected to it and count on it being consistent. On to the next plus of harmonica. The problem with the sax is that it only plays one note at a time, and this means it is a so called melodic instrument (following a one note line melody) versus a harmonic instrument, (which can play multiple notes at the same time), which can create harmony. Not harmony to the standard of a piano, but better than a sax. This is a big plus, and means an accomplished musician can pull off a solo performance and make beautiful music all by themselves. In the hands of an amateur, a harmonica is tolerable. In the hands of someone like Tommy Reilly the instrument is incredibly beautiful. He learned to play in German prison camps in WWII, and his work is unparalleled. It is a good solid value harmonica, reasonably priced new and used, and the market has many new and used 280s for sale. It’s a “workhorse”, a good solid reliable performer. It was state of the art years ago, not so today. Hohner has some better models, but they cost double the price of a 280, and there are very few used super 64X’s for sale. Plusses of the 280 are strong build quality and acceptable tone, it can be repaired almost indefinitely as all quality harmonicas can, and Hohner will rebuild them at the factory for about $175, replacing the brass plates and all new reeds, if they can’t get the instrument back to new spec, they just give you a brand new one. The round holes on the mouthpiece (which can be unscrewed by 2 screws on either end facilitating easy cleaning…see WARNING below) are very comfortable to play, and with proper technique it will provide many tonal variations which are the stuff of which musical artistry is made. (WARNING: Don’t drink pop or beer or eat anything before you play, and if you do drink, wash your mouth out with water before you play, and you’ll have few problems with the instrument, they really don’t need to be cleaned often, as a rule). On the downside, it is not as airtight as a 7584 Super 64X, which is their black pro model, at more than twice the price, with gold plated mouthpiece. They’ve also provided two reeds per note on the lower 2 octaves on the Super 64X so almost all orchestral players will be on this model. Stevie Wonder used to play a 280C, but he is not recognized as a harmonica great as much as a singing and composing great. But in many ways, the difference between what one can accomplish on a 280-C and a Super 64X is not in the harmonica, as much as it is the musician. In proper hands they’ll both knock your socks off. The Super 64X is a bit easier to play, and a bit more nuanced, much better in the lower two octaves, and really better throughout. Both have stainless covers, the 64X’s covers are just painted black, it is not polymer as some believe. This from the Hohner repair technician. I would say the 280 is a great instrument if you are moving forward to become a learned musician, if you are a pro go for the Super 64X. All chromatic orchestral harmonicas are prone to problems with the windsavers, so that’s an element to consider. Windsavers are little plastic things which seal the reeds. You can repair them or send them in for repair. I’d suggest you study the great saxophone players to really understand phrasing, or vocal greats, and get good at playing at various dynamic levels, or volume levels. How many different ways can you present the tune, can you decorate it a bit? You’ll the creative options with harmonica to be unending, as far as your personal interpretation of a solo, or piece. Musicianship starts in the head, (in that your create tonally what you conceive mentally) so learn as much as you can from recordings and off the internet. I’ve found the more I learn, the more I am aware I don’t know. Van Cliburn the pianist said that music was enough a lifetime, but that a lifetime was not enough for music. He meant that there is so much to learn. Do not continue to practice on a day when you are frustrated, develop the habit of playing sensitively and with joy. Make up fun exercises that challenge you. Build on a solid foundation of good technique and you’ll go somewhere. Learn to read music and play with play along CD’s and with your favorite recorded songs. Take it slow, it takes time but one day all comes together. Diana Krall learned jazz piano by this method, and when she became famous, set up performances of live performance with the musicians she’s played along with on records and CD’s at home. Accept your failures as the walk along the path of finding excellence, be tolerant of your mistakes and errors. Try not to be critical. One of my favorite band leaders told me, hey, play the other F#. I’d played an F natural, a nice gentle correction…the good ones are like that. Don’t forget to learn to be silent too, you don’t have to play all the time…enjoy a moment or two of silence, even with solos. Like skaters which stop their movements for a moment…then when they move again we enjoy it more. If you are enjoying your music…you have arrived at the most meaningful place in the world of music.